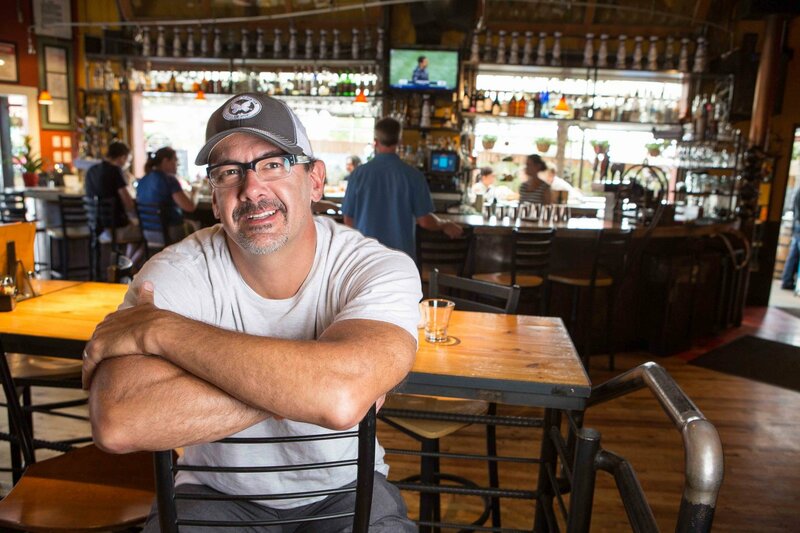 Restaurateur Dave Query has another victory to add to his ever-growing quest to dominate the restaurant – and the fried chicken – scene in Boulder County. 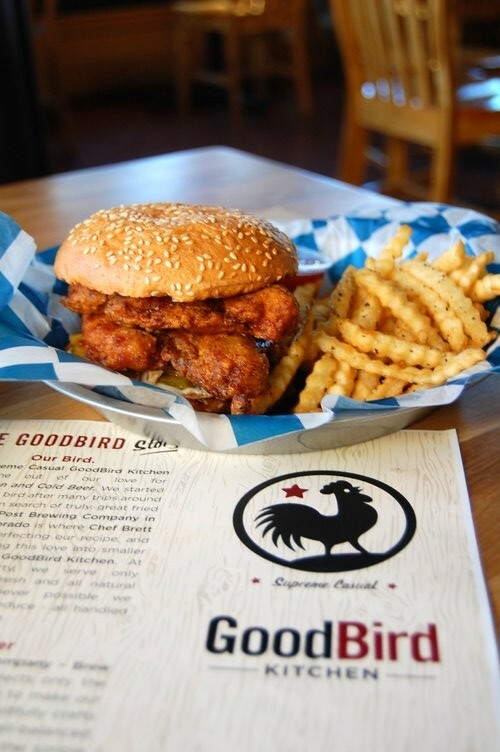 The newest feat for the Big Red F founder includes trademarking the concept “Supreme Casual” – which is being executed at the first standalone location of GoodBird Kitchen outside of The Post Brewing Co’s GoodBird Kitchen brewpub in Lafayette. General Manager Eric Hulme and Co-owner Dana Query at GBK Longmont. This past Tuesday, doors opened to the public at the new family friendly GBK Longmont, a restaurant which features the same food we love from the Lafayette location, with beers created by The Post Brewing Co head brewmaster Bryan Selders in-hand in less than 60 seconds, Query boasts. 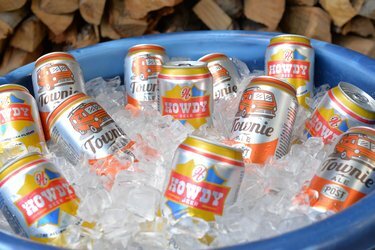 The opening line-up will include Howdy Beer and Townie Ale in cans, and Meathooks, Rooster Cruiser, and Big Rosie on tap. Post Brewing’s Townie Ale and Howdy Pilsner are some of the beers that are available at GBK Longmont. *As GBK is classified as a restaurant and not a brewery, beers will be sold for consumption on premises only. 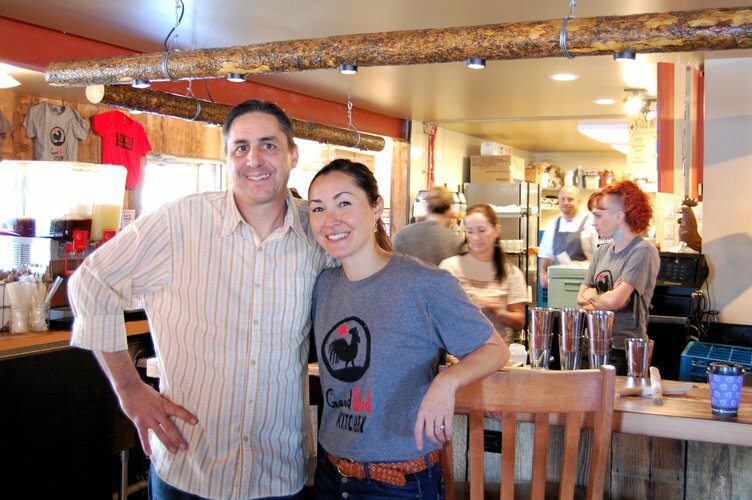 Query’s wife and co-owner Dana Query said the restaurant is a longtime dream of her husband, who always wanted to open a restaurant in Longmont. GBK Longmont is located in the building that used to house Tres Margaritas, in the upcoming Village at the Peaks shopping center off of South Hover St. Dana said she and her husband trademarked the phrase “Supreme Casual” to describe their restaurant concept, which was influenced by the couple’s frequent trips to Portland, where guests order at a main counter, then are treated full-service for the remainder of the meal. Seconds on fries? Refills on drinks? No problem. Query said servers are provided to take care of all of their guests needs once they sit at a table, including providing the check and taking payment via electronic tablets. This concept is different from typical fast casual restaurants which require guests to order all food at the counter and provide payment before ever receiving any food. Family sick and you’re tired? Take Out!!! There’s a separate door so you don’t have to deal with the line. Call or order online and get angry looks from people waiting in line. It’s fun. GBK’s menu features a fried chicken sandwich with crinkle-cut fries, because crinkle-cut simply tastes better. 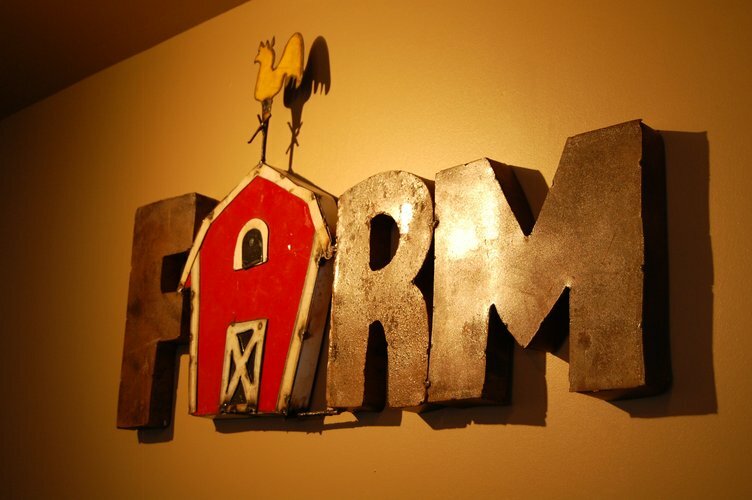 The menu at GBK focuses on filling foodies with the same fried chicken and beer we know and love from Chef Brett “Smitty” Smith, who created the menu for the Lafayette location and is also a partner at GBK Longmont. One exception is that GBK serves meals with a side and a biscuit included, and crinkle-cut fries (because everyone knows crinkle-cut fries are the superior fry). GBK Dark & Stormy Slushy – it’s awesome! 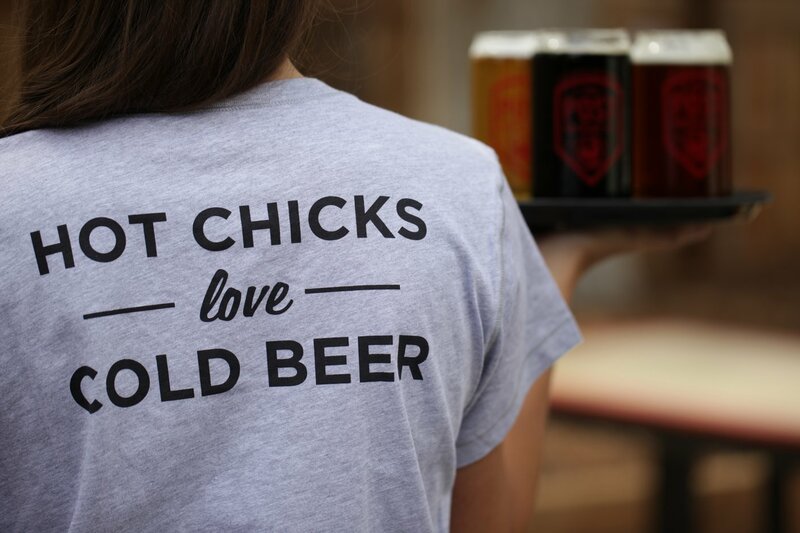 Most beers from The Post Brewing Co will be served, as well as a few rotating taps. There are also specialty cocktail creations including Dark and Stormy Slushy – (dark Rum, ginger beer and lime) – which tastes amazing no matter what the actual temperature may be outside. 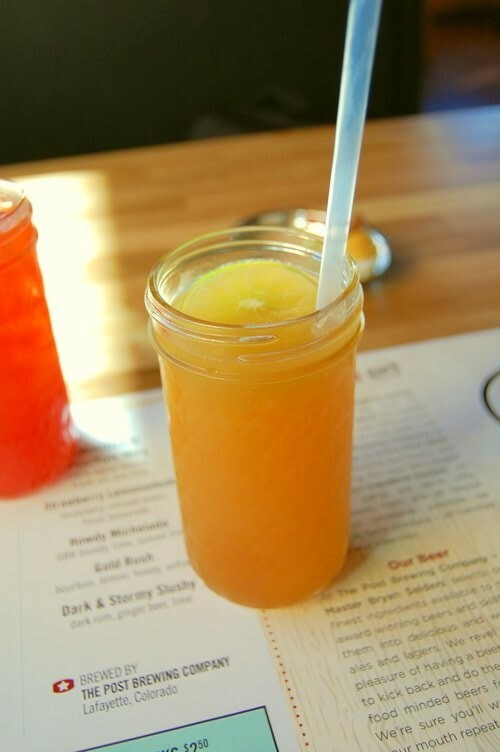 Think Mule slushy…because that’s what it is.. And I will tell you a secret – GBK has happy hour Daily from 2-5 p.m.
Fried chicken lovers get ready – there are 3 varieties to choose from: Original, Mustard BBQ or Nashville Hot. Having tried the Nashville Hot I can say this is my favorite, but their 3 signature hot sauces taste fantastic on original as well. And no, I didn’t forget the waffles. Yes, there are waffles. (Chicken and waffles is a “thing” so I’ve heard, and many of you know it best from the version at The Post Lafayette.) GBK even has a waffle sundae which I hear is not a modest portion for those who have no intention of keeping their resolutions this year. For those that do, there are salads, rotisserie chicken and “Really Good Chicken Noodle Soup” to chose from, or go old school and try one of their Blue Plates, (inspired by Query’s former Blue Plate Kitchen which opened in 1998 in Boulder). “This is kind of the second iteration of that,” wife Dana explained. Everything is brand new at the location in the upcoming Village at the Peaks off of South Hover St. in Longmont. The signature facade design and interior restaurant were designed by artist Robin Balzano, who works for Big Red F exclusively, and once inside you can recognize the same design found inside The Post. Stay tuned for updates as they plan on add a patio/lawn area with corn hole and picnic tables similar to The Post sometime this Spring. 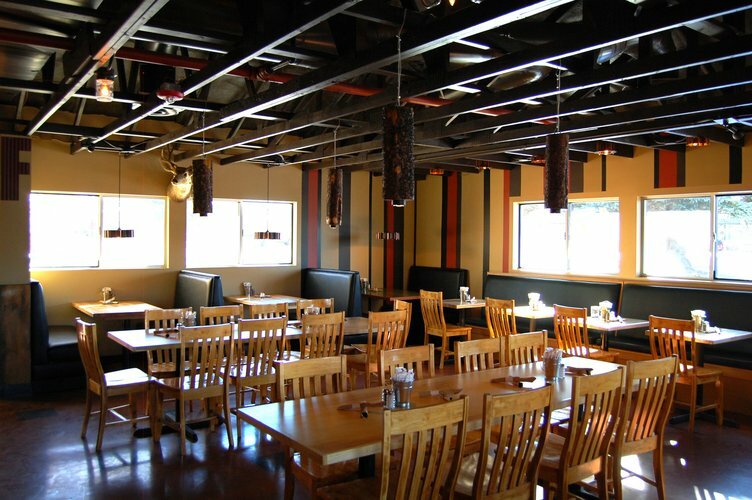 The dining room at GBK was designed by artist Robin Balzano, who also designed The Post as well as Zolo Grill. GBK Beer Cart fulfilling “60 Seconds to Beer” challenge. Did I mention 60 seconds to beer? That is because GBK has a custom bicycle-powered beer cart which Query said will be stocked full of ice cold cans, as well as cocktails, that will be available as easy as beer-in-hand the minute you walk into the building. She says they plan to use the honor system in the form of “karma tickets” to know who has what before they place an order at the counter. 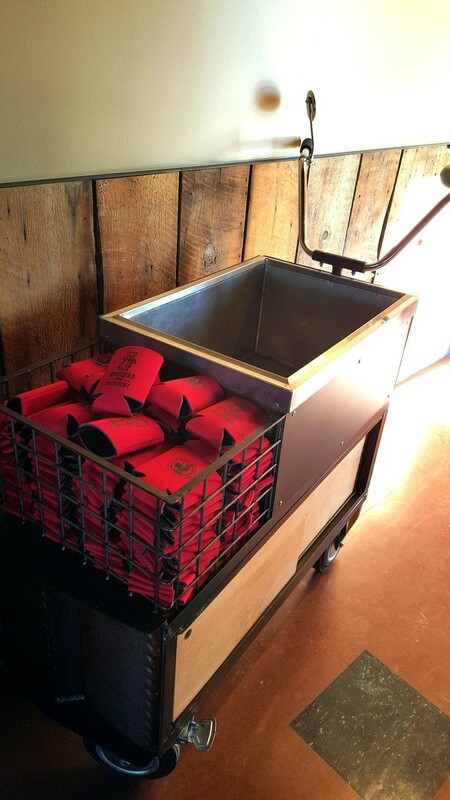 Query said they hope to use the beer cart to offer desserts in the dining room as well. The writer of this article was offered lunch for free.